Dental health care is vitally important to your dog’s health, according to the AVMA. For a dog, dental issues can cause, or be caused by, other health issues. As with your own teeth, a dog’s teeth and gums should be checked at least once every six months by a veterinarian or qualified professional. Dental disease can lead to problems with a dog’s organs, including the heart. Bacteria in the mouth can enter the bloodstream which in turn can infect the heart. Caring for your dog’s mouth can save your dog’s teeth. A dog’s teeth can fall out if not given proper care, which can be painful and lead to other health issues. Full grown dogs have 42 teeth, and before the adult teeth come in, baby teeth fall out. Sometimes, some of the baby teeth won’t come out. This can lead to gum irritation and tartar buildup. Plaque build up on dog’s teeth can lead to periodontal disease. Regular cleanings and checkups can keep plaque from building up. Periodontal disease can lead to more serious problems. Prevention is the best route – so regular brushing, dental exams and cleaning are important. Regular use of a doggie dental spray like SPRAY ME can help remove tartar buildup, freshen nasty puppy breath and combat periodontal disease in dogs. Stinky Dog Breath Bad breath is a result of bad oral hygiene. It’s also often a symptom of gum disease in dogs. A dental visit to get dog’s teeth cleaned can cure stinky doggie breath, but dental cleanings can be expensive and dangerous for some dogs, since it’s performed under anesthesia. 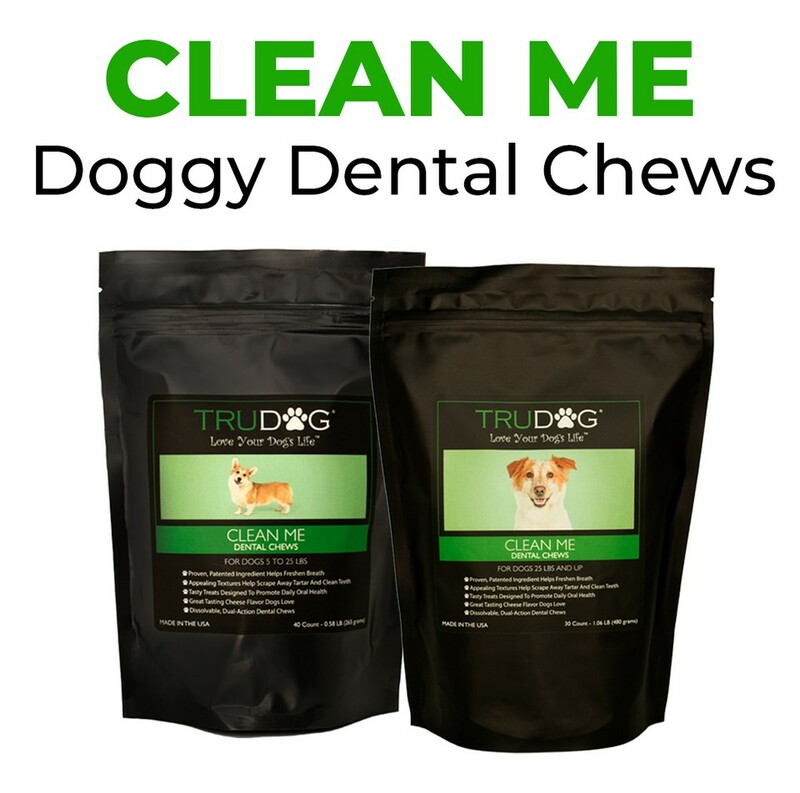 Try TruDog’s dental care products for dogs to combat stinky dog breath and extend the time between professional cleanings. 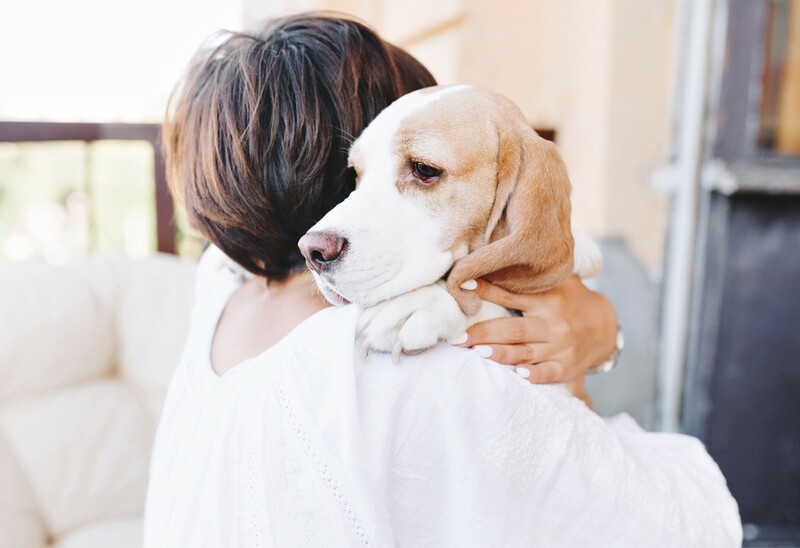 Dogs can’t tell you that they are in pain. A toothache is painful, and can make your dog sick. You may not realize he or she has a problem. 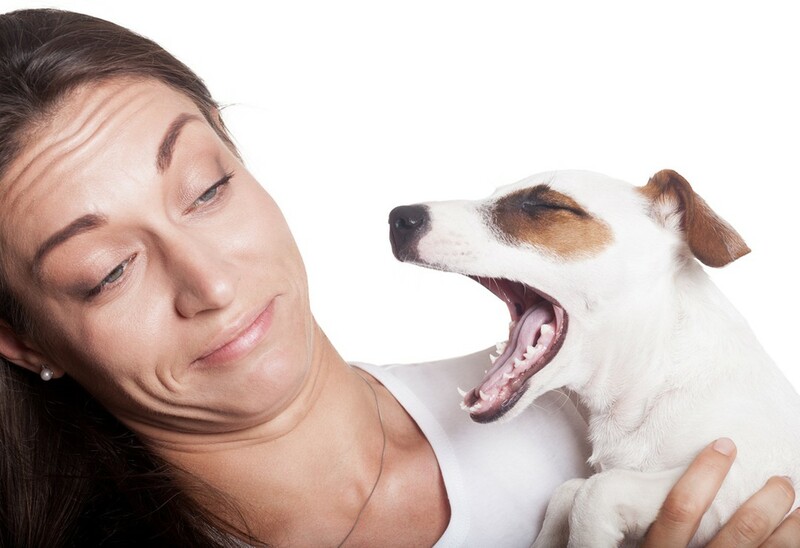 Regular check-ups keep your dog from suffering from dental pain. Dogs can’t brush their own teeth. So, they trust us to do it for them. From picking out a canine toothbrush, to selecting oral care products for your pet like Oraup’s Lickies, brushing your dog’s teeth requires planning. Fido or Gertie may not go for tooth brushing, but with a little bit of planning and a lot of patience, it can work out to be a positive experience for both of you. Start slowly, quit if the dog gets frustrated, even if you don’t get finished. You can start by introducing your dog to dental care by using your finger or a washcloth and by rewarding them generously after each session. Create a positive association for your dog between dental care and yummy rewards for best results. In deciding what toothpaste you want to use for your dog, remember do not use regular human toothpaste. Fluoride is poisonous to dogs.